CISF said the woman staffer 'was carrying out mandatory pre-embarkation security check and she was polite too during interaction'. 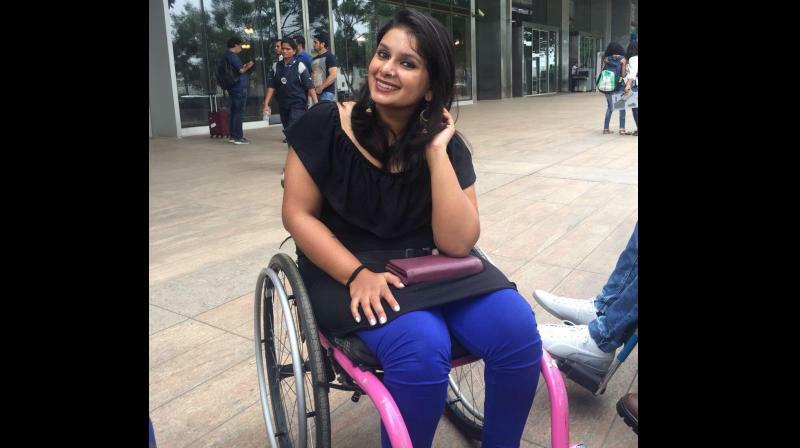 Mumbai: A disability rights activist has alleged that she suffered "major cramps" after she was forcefully lifted from her wheelchair by a CISF personnel at the Mumbai airport, a charge denied by the paramilitary force, saying the checks were carried out on her in accordance with the procedure. Virali Modi, 27, narrated her ordeal on Twitter and said the incident happened on Monday, when she reached the airport to catch a flight to London. “She kept forcing me to stand up and then she went on to say that she'd lift me up and get someone else to pat my backside. After many denied requests, she lifted my leg up forcefully, causing a major cramp," she wrote on her Twitter handle. The Central Industrial Security Force (CISF) that guards the Mumbai airport reacted on its official handle on the micro-blogging website, saying the woman staffer "was carrying out mandatory pre-embarkation security check and she was polite too during interaction". "On seeing the lady concerned, CISF officers arrived at the spot, pacified her and explained the situation," it added. Virali Modi, in a series of tweets, described her agony, saying, "The cramp was so painful that my leg went into a spasm which made it cramp even more. I wanted to file a complaint about the way she treated me, but her senior was nowhere in sight. Is this how the CISF are trained?" She alleged that the CISF personnel was "incredible insensitive" and the way she was treated was "NOT how you treat a disabled passenger!" "Every other international airport has chemical strips to check the wheelchair and shoes, a disabled passenger doesn't need to get out of her wheelchair. So why in Mumbai's International Airport?" On its part, the CISF said the "check was carried out as per procedure and any inconvenience meted out was unintentional. Security is of prime importance, at the same time, CISF takes care of specially-abled/needy passengers in a dignified manner". CISF officials said Virali Modi was asked to move to a nearby frisking area at the airport as her wheelchair was large and could not be scanned in the x-ray machine, but they denied any forceful or rude conduct by the security personnel who cleared the passenger to board the flight. Virali Modi, who described herself as a disabled rights activist on Twitter, said the incident was not about a woman not understanding a woman's trouble, but about human rights. "Forget about a woman not understanding, this is basically about human rights and disability rights. This is not how a disabled passenger should be treated. Simple," she said. CISF officials said the personnel deployed at the airports were trained to render specialised assistance to specially-abled passengers who were either wheelchair-bound or had implants in the body. Union minister Jayant Sinha took to Twitter and said, "Really sorry for the suffering that you went through." Sinha, the minister of state for civil aviation, tagged #AirSewa for response. Air Sewa is a digital platform launched by the aviation ministry for improved traveller experience for passengers.